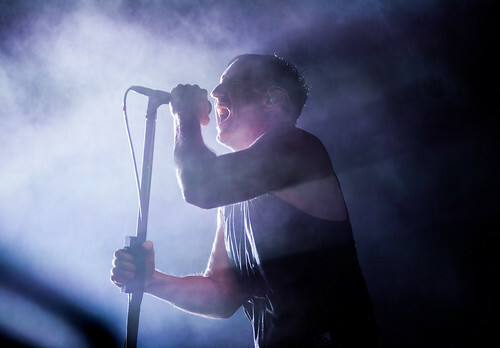 Nine Inch Nails biography, albums, wiki, concerts and stats - Musicazon! Nine Inch Nails is an Industrial rock band that was formed in 1988 in Cleveland, Ohio, United States by Trent Reznor, the only constant member of the band. Reznor is generally credited for popularizing the genre known as "industrial rock" with both his releases and dark, theatrical music videos. As of 2016, the band also officially includes Reznor's longtime collaborator Atticus Ross as a second official member. Born Michael Trent Reznor, he was raised by his maternal grandparents in Mercer, Pennsylvania, USA. .
Do you love Nine Inch Nails? Please write something! Sorry Nine Inch Nails album not found! Nine Inch Nails song not found! Who is Nine Inch Nails? 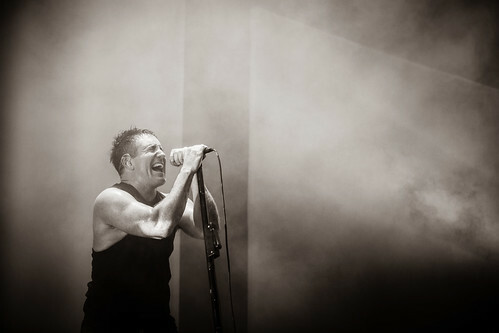 Nine Inch Nails concert, tickets & tour dates updating..